Sartorius Stedim Sartoclean GF Adsorptive Membrane Filter 3+0.8 µm 30"
Ball button with threaded blind hole. 2 x Ball handle. -Main material: plastic. We will response in 24 hours to resolve the problems. 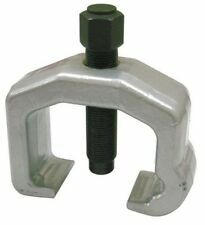 -Can be used in many applications of lever rotary knobs. For welding plastic pipes as PP/PP-R/PE/PP-C pipe and etc. 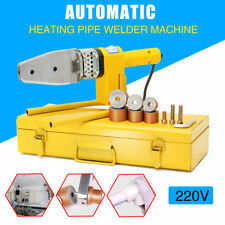 1 x Pipe Welding Machine. 3 x 20mm 25mm 32mm Welding Heads. Heating head temperature: 260 ± 5 ℃. Relative humidity: 45% to 95%. 1 x Support Shelf. ThisHigh Efficiency Cyclone Powder Dust Collector can be a good cleaning helper for you. 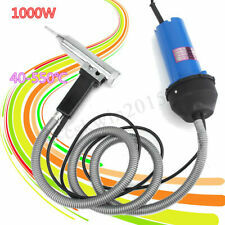 It can work with all kind of vacuum cleaner, such as household vacuum cleaners, industrial vacuum cleaners, whirlpool fan. 1 x Plastic Welder. -Welding torch with the complete light to light, so as not to break the gun part of the refractory porcelain material, leaving the electric wire short circuit. Is an indispensable tool for the production of chemical plastics. Max Power: 1600w (Much stronger than 1000w devices). 1 X 1600w Welder Gun. 1 X Triangle Speed Welding Nozzle. 1 X Round Speed Welding Nozzle. Special soldering way without touching the solder joint which avoid the parts moving and thermal shock. Material: Acrylic / Perspex / Plexiglass x1 Piece. Optical clarity, Abrasion resistance, Chemical resistance, Long life. Supplied with: protective PE film. Applications: Boat Applications, Architecture, Model Making, Picture Framing, Handicraft, Sign making, Interior decoration. For Sale is a SagiCofim Pleated Filter. P/N DF60FF. 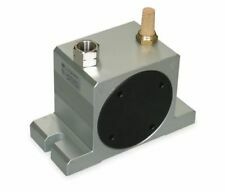 DELTA absolute filters are deep pleated, with top quality. This Filter Module is 23.25" x 23.25" x 11.50". Each filter D.O.P. tested and certified. Max Power : 1080W. 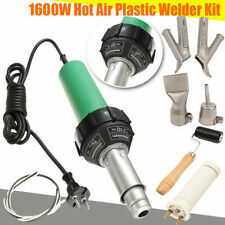 This specially designed heat gun (hot air welder) produces a jet of hot air that softens the parts to be joined, as well as the plastic filler rod. Welding PVC to acrylic is an exception to this rule. Power: 150W( /-2%). ●It is mainly used in the heating devices of solder machine stuffing container. 2 Pcs Heater Band. ●Reasonable structure, attractive appearance, stable performance, quick heating, fine insulation performance, high pressure resistant. Description: High heat transfer cartridge tube, 2 wires, corrosion resistant stainless steel heater. It is widely used in heating metal mold, moulds and dies, hot mould core box,vacuum equipments, bolt heating element, high-temperature equipments, hot stamping, etc. Specially designed for heating applications, such as injection molding machine, dies, hot plates, platens, etc. This high Quality single head electric heat pipe used for both ends of the wiring in not heating medium. Material: Stainless steel. Due to the difference between different monitors, the picture may not reflect the actual color of the item. Screen small knowledge We will try our best to reduce the risk of the custom duties. 2 Pcs High quality aluminum Z Axis Coupler for connecting the 5 mm motor shaft of your NEMA 17 Stepper Motor to a 5 mm threaded rod. 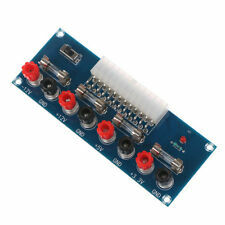 Perfect solution for the Prusa i3 Reprap 3D Printer. Get rid of your plastic printed (ABS/PLA) Z Couplers: these aluminum Z Couplers will greatly improve the overall printing quality of your 3D Printer. Find "Filamake extruder" on youtube. Handmade extruder machine. 3mm or 1.75mm nozzle. Heavy duty construction. Also we our proud for our support team 24/7 support for all of our products. 55 Watt powerful high torque motor geared. Provides high heat transfer, stainless steel heater is corrosion resistant. Heater size (approx.). Specially designed for heating applications, such as injection molding machine, dies, hot plates, platens, etc. Power: 300W. 1 x Electric Heating Tube. High power, high thermal efficiency, heat dissipation. Good insulation, high purity magnesium oxide with high thermal conductivity filler. Material: stainless steel. Optical Endstop. 1 x optical endstop using TCST2103 Photo-interrupter. 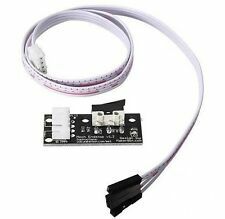 Optical limiting optical switch 3D printer switch transmission. Power: 40w. 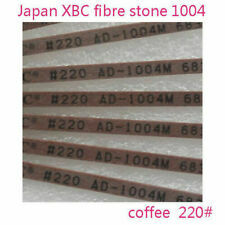 Wire Length :1m. Size:1.5"/38mm. · Material: Stainless Steel 304. This is not a Stratasys product. Fortus 250mc. It is based on Open Source DIY projects.